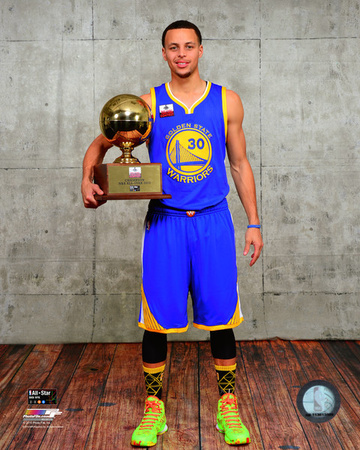 Stephen “Steph” Curry represents the very definition of an underdog. Various colleges rejected him because of his small size, which is why he ultimately chose to play basketball at Davidson. Prior to the 2008 NCAA basketball season, even his father Dell Curry—himself an NBA athlete who played for 16 seasons—doubted his son’s ability to join the professional league. 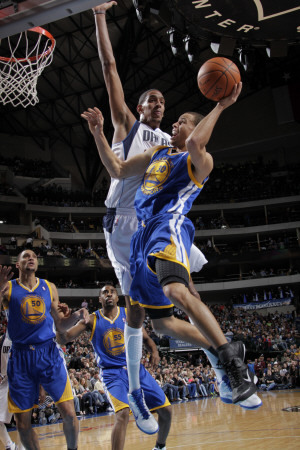 But when Dell witnessed Stephen lead his team to victory over Georgetown, all worries dissipated. The first believer of Stephen Curry was actually Davidson coach Bob McKillop, who alerted his parents to Stephen’s potential. Curry was seventh pick for the Golden State Warriors in the 2009 drafts. 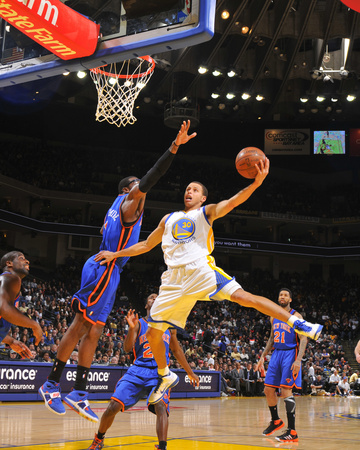 In the 2013-2014 season, Curry made 261 three-pointers. 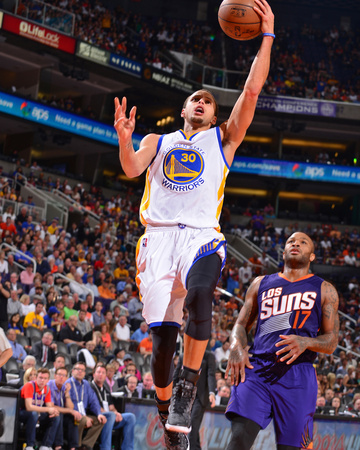 He became the first player since Ray Allen in 2001-02 and 2002-03 to score the most threes in back-to-back seasons. During the same season he was named the Warriors first All-Star Game starter since Latrell Sprewell in 1995, achieved a season-high nine threes against the Clippers, and was notorious for scoring a high number of steals. 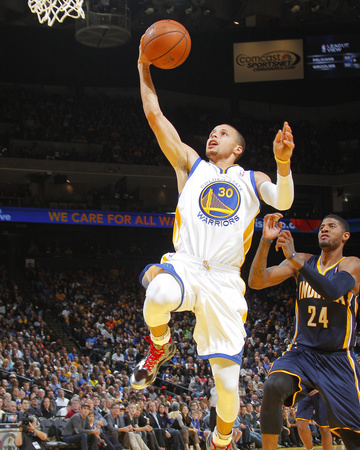 The 2014-2015 season saw Curry recognized for overcoming his previous records for scoring threes in the season. And he earned the MVP Award this year. All of this marks an exciting time for Stephen Curry’s NBA career. Join the fervor! Check out these posters below showcasing the highlights of Curry’s NBA career. 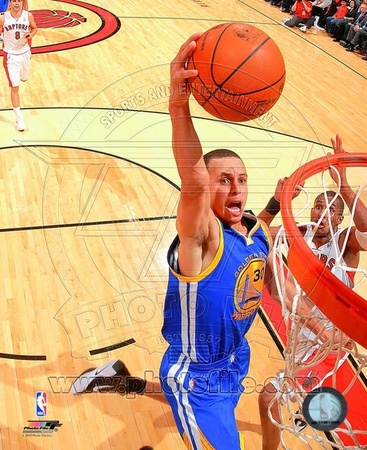 If you want to view more images, check out our collection of Stephen Curry posters.